Fuji Electric Corp. of America(FECOA) is responsible for the sale, marketing and distribution throughout North America of products manufactured by Fuji Electric Group companies in Japan. Perfected through extensive research and development, Fuji Electric products are unparalleled in quality and reliability. 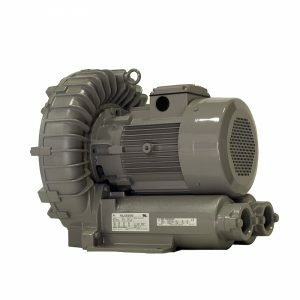 FDC blowers feature direct drive motors from 0.5 to 5 HP and are available in voltages of 115 single phase, 230 single phase, and 230/460 3-phase, dependent upon motor size. These new models utilize Premium Efficiency motors, and can provide a maximum pressure of 18.60 in. H2O, and a maximum capacity of 1860 SCFM. These covers are designed to fit over the inlet filter in order to provide better filter protection. They are made of 100% polyester fibers, are approximately 3/4" thick, and are rated 80% efficient at 25 microns. 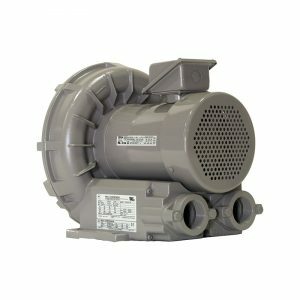 These filters provide protection by filtering the inlet air when the blower is used for pressure applications. They have a perforated metal outer cover, an inner liner wrapped with a fine (.009) mesh screen, and are rated for 200 micron filtration. These relief valves are designed to protect the blowers from overheating when operating dead-headed. 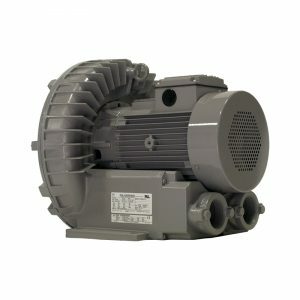 Please choose the correct blower/ring compressor size from the drop down options. The VFC400P-5T is a single-stage ring compressor with a maximum pressure of 54.5 in. H2O, maximum vacuum of 50 in. H2O, and a maximum capacity of 98 SCFM. The VFZ 50 Series are single-stage ring compressors with a maximum pressure of 80 in. H2O, a maximum vacuum of 80 in. H2O, and a maximum capacity of 135 SCFM. The VFZ601A-7W is a 5.0 HP single-stage ring compressor with a maximum pressure of 134 in. H2O, maximum vacuum of 95 in. H2O, and a maximum capacity of 173 SCFM. 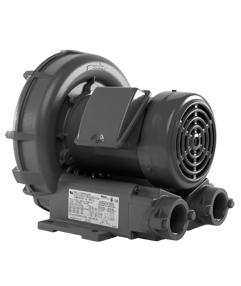 The VFZ701A-7W is a 6.7 HP single-stage ring compressor with a maximum pressure of 105 in. H2O, maximum vacuum of 99 in. H2O, and a maximum capacity of 217 SCFM.